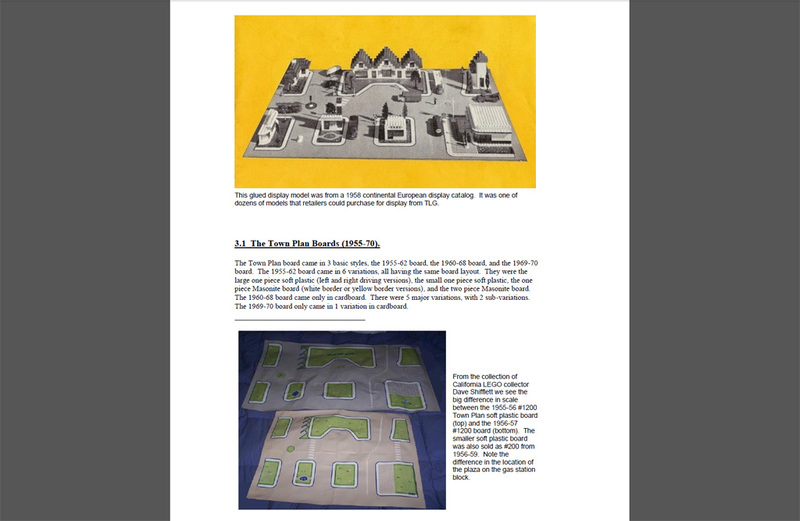 I have previously discussed the official LEGO Ideas Book and Warren Elsmore’s LEGO for grown ups – Brick City. I have also covered early LEGO history in various articles. 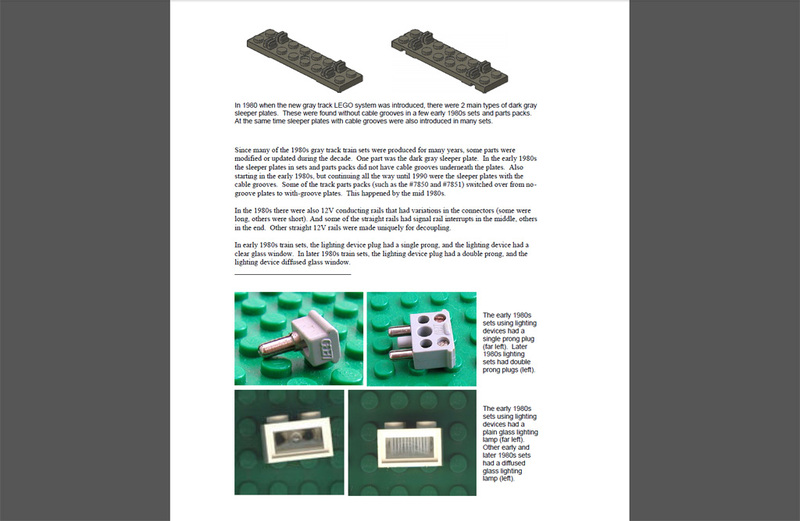 This context would not be complete without mentioning The Unofficial LEGO Sets/Parts Collectors Guide (1949-1990). 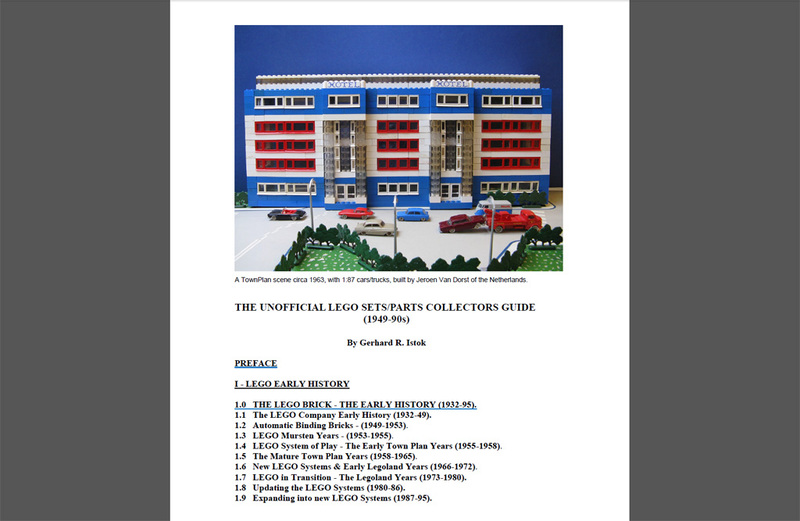 Over at the great LEGO forum, Eurobricks.com, there is a guy called LEGO Historian, aka Gerhard R. Istok, who researches and often posts about various aspects of LEGO history. His posts over at Eurobricks.com are valuable in themselves, so do go check them out (see the topics and posts lists for more, you will need to sign in to Eurobricks for those or check the end of this blog article for some direct links). 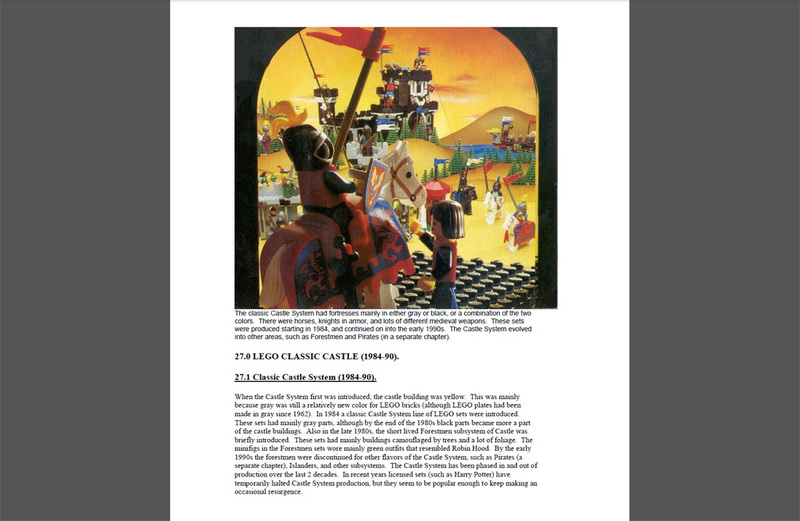 For a more comprehensive look on this topic he also maintains a great e-book, the above-mentioned Unofficial LEGO Sets/Parts Collectors Guide. For just $29.95, you get the e-book and infinite updates, as a 700 megabyte(ish) download. There are also DVD shipping options for a more than reasonable cost of few dollars extra. Gerhard R. (or Gary) Istok’s e-book is a monster, in all the right ways. It is a huge dive into the past and detail of LEGO, really a little reminiscent of what I’ve been trying to do on this blog, but on an absolutely massive scale and with an unwavering focus on the history of it all. Although one can (as I have so far) research many things LEGO purely online, this e-book is recommended reading for taking things to the next level. I look forward to reading the book over the coming months. Highly recommended. Great work, Gary! Purchase link here. – Oldest Known LEGO Bricks Set? – Unknown Old LEGO 1×1 Elements….